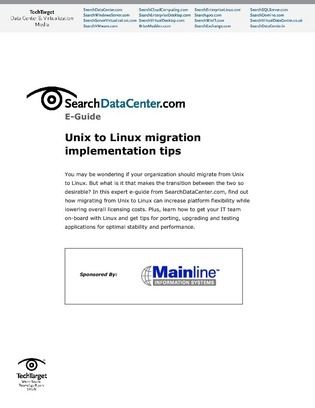 What is it that makes migrating from Unix to Linux so sought after? Access this essential e-guide from our editors to discover how this transition can increase flexibility while reducing overall licensing costs. Also learn how to get your whole IT staff on board with this platform, evaluate the return on investment (ROI) of moving to Linux, and get implementation tips for porting, upgrading and testing applications for optimal stability and performance.